Hydrostatic drives are a widely used method of power transmission due to their fast response times and ease of speed regulation. 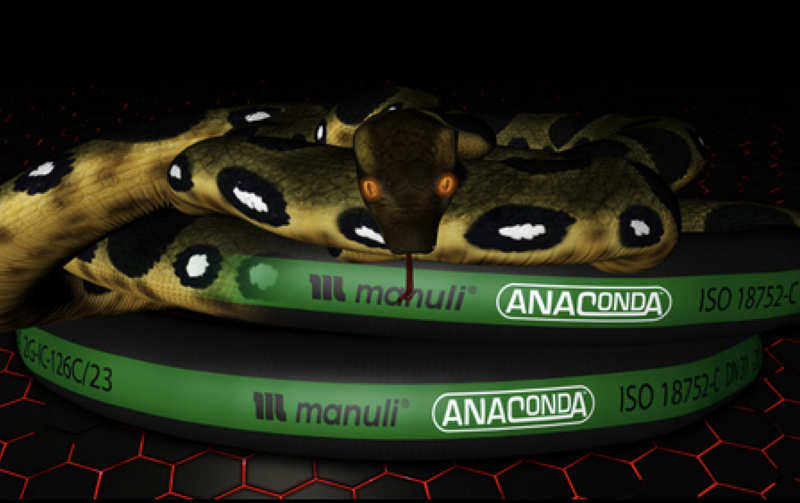 Anaconda is the first hose by Manuli Hydraulics which has been purpose-designed to meet the specific challenges presented by hydrostatic drive systems. Hydrostatic drives often require short lengths of hose in tight routing conditions, such as the undercarriages of construction and mining vehicles. This can prove problematic, as shorter lengths of hose tend to require a much higher bending force than longer lengths of the same hose, making them difficult to install in compact environments. Anaconda has been designed to alleviate this complication with a reduced bending force to suit difficult undercarriage applications. It also has a very low minimum bend radius which exceeds the standard requirements, making routing easier and reducing the risk of kinks even in these constricted conditions.